Louis D. Britsch, III, Ph.D.
Dr. Britsch has 34 years experience conducting surface and subsurface geological investigations in support of geotechnical design, geomorphic development of deltaic systems, marine and inland sediment resource investigations, subsidence investigations, coastal restoration strategies, wetland loss delineation and classification, and sediment accretion investigations. He completed numerous studies of foundation conditions in coastal Louisiana, geologic/geomorphic development of the Mississippi River deltaic plain, subsidence rates in coastal Louisiana, land loss rates, groundwater movement in shallow aquifers, sedimentation rates in coastal bays and lakes, and location of sand and clay borrow sources for coastal restoration and levee construction. Dr. Britsch compiled and analyzed deep boring and core data for developing geological cross-sections for northern, central, and southern portions of Barataria Basin. Geological data were compared with subsidence rates derived from high-resolution GPS surveys at primary and secondary benchmarks and water-level time series to determine if Holocene sediment thickness and age of deltaic deposition correlated with subsidence velocities. Results showed that areas of thickest and youngest Holocene deposits recorded greatest subsidence rates. These findings are important for planning, siting, and design of restoration projects within the basin. Dr. Britsch synthesized existing on geology, soils, and relative sea-level change (subsidence and eustatic sea-level rise) and wrote corresponding sections toward development of an environmental impact statement (EIS) for the proposed Mid-Barataria Diversion project. 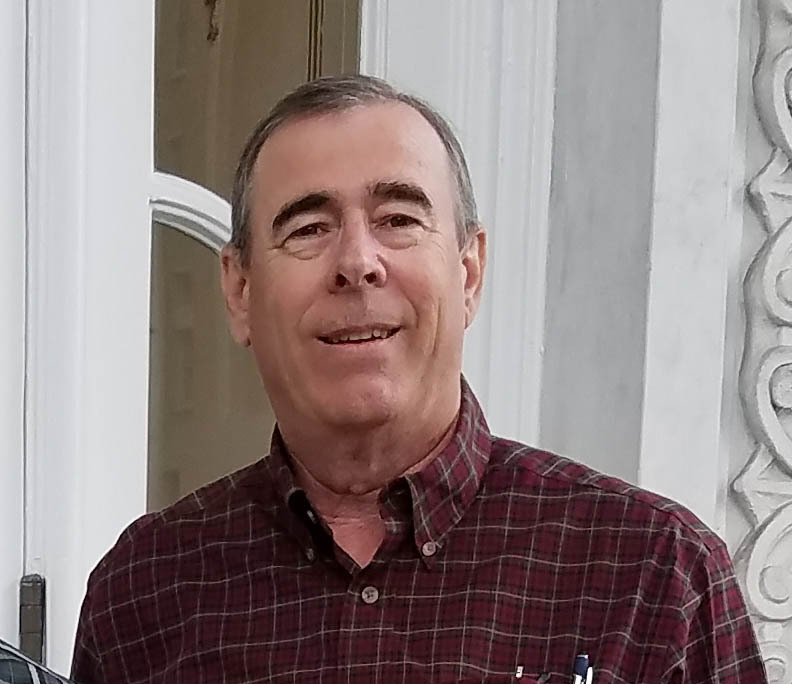 While working for the U.S. Army Corps of Engineers, New Orleans District, Dr. Britsch was responsible for developing subsidence rate estimates across coastal Louisiana for input into all USACE geotechnical investigations. Over 300 sediment cores and borings were taken, and peat material was carbon dated to obtain estimates of subsidence over the past several thousand years. Dr. Britsch served as lead investigator to identify offshore sand sources for restoration of the Barataria Basin barrier island chain. Approximately 250 cores and geotechnical borings were taken and analyzed to determine sediment suitability and quantity for barrier island restoration efforts. Isopach maps of potential sand targets were developed. Geotechnical borings were also obtained and interpreted along the barrier shoreline for use in the geotechnical design of the beach restoration project. Sediment moving westward from Atchafalaya River via the Intracoastal Waterway was reportedly infilling East and West Cote Blanche Bay causing shallowing of the bay system and increased turbidity. Sediment cores were taken throughout the bay system and sediment accretion rates were determined using Pb and Cs dating techniques. A map depicting the distribution and thickness of recent sediment fill was developed for the study area. Byrnes, M.R., L.D. Britsch, J.L. Berlinghoff, and R. Johnson, 2018. Determining Recent Subsidence Rates in Barataria Basin, Louisiana: Implications for Engineering and Design of Coastal Restoration Projects. Prepared for Louisiana Coastal Protection and Restoration Authority (CPRA) by Applied Coastal Research and Engineering, Baton Rouge, LA and Mashpee, MA, in cooperation with CDM Smith, Baton Rouge, LA, 67 p. including appendices. McBride, R.A., M.R. Byrnes, and L.D. Britsch, 2011. Subsidence-Corrected Elevations of Paleoshorelines (Chenier Ridges) of the Mississippi River Chenier Plain, USA: Implications for Forcing Mechanisms, In: P. Wang, J.D. Rosati, and T.M. Roberts (eds. ), Coastal Sediments 2011, World Scientific, Hackensack, NJ, 176-187. Dunbar, J.B. and L.D. Britsch, 2008. Geology of the New Orleans area and the canal levee failures. Journal of Geotechnical and Geoenvironmental Engineering, 134(5): 566-582. Markewich, H.W., G.R. Buell, L.D. Britsch, J.P. McGeehin, J.A. Robbins, J.H. Wrenn, D.L. Dillon, T.L. Fries, and N.R. Morehead, 2007. Organic-Carbon Sequestration in Soil/Sediment of the Mississippi River Deltaic Plain-Data: Landscape Distribution, Storage, and Inventory; Accumulation Rates; and Recent Loss, Including a Post-Katrina Preliminary Analysis. U. S. Geological Survey Professional Paper 1686-B, U. S. Geological Survey, Reston, VA.
Britsch, L.D. and J.B. Dunbar, 2006. Land Loss in Coastal Louisiana: 1930s to 2001. Technical Report TR-05-13, Engineer Research and Development Center, Vicksburg, MS.